It belonged to a frined of mine and he raced it in the 105-115 class (around there) in early 90's with a 468 tunnel ram and carbs. 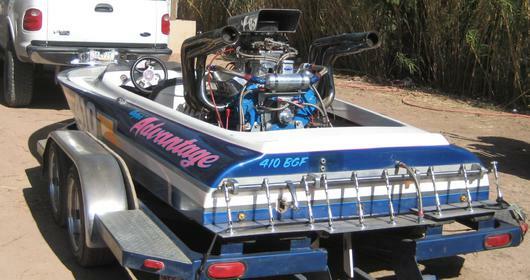 Gary Taylor bought the boat and ran it with a blown gas motor for quite a while after that. Jeff Iverson has some video of him racing Gary. I think it ran low 8s in the 120 mph range.